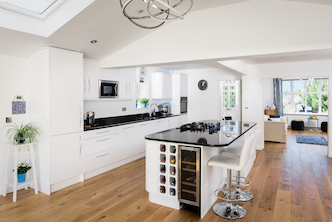 We began discussing this project with our clients in early 2017 – they had received their planning permission and were working with an architect associate of ours Martin McCurdy. 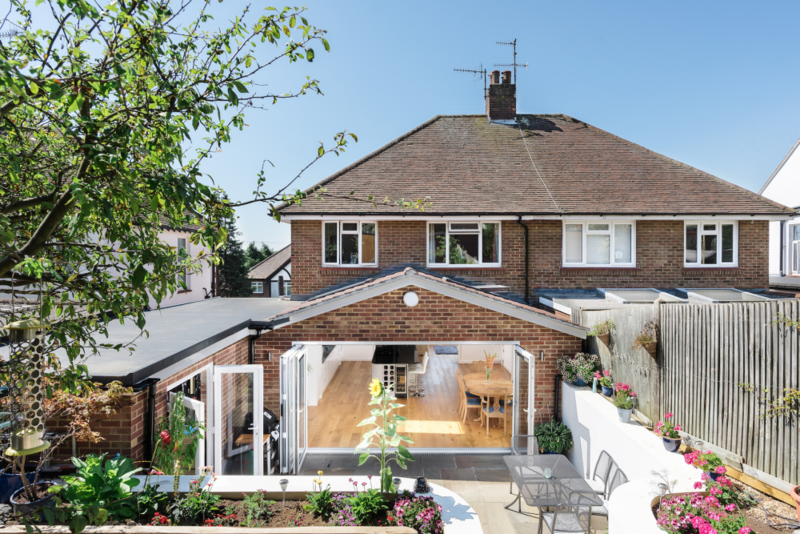 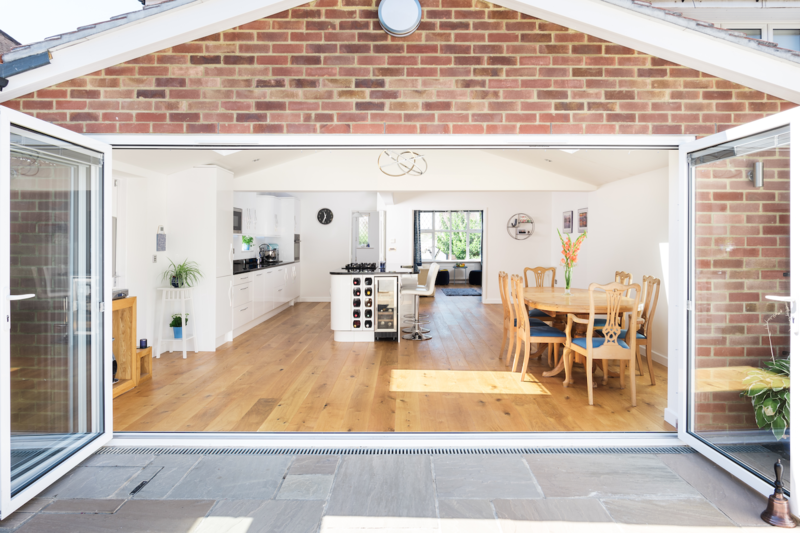 They were looking at a substantial rear extension with a pitched roof and knocking though of the whole ground floor, and also landscaping the rear garden and utility are space with a whole house renovation in mind. 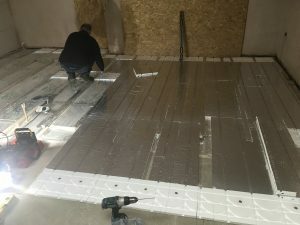 They also wanted to make the house as warm an as secure as possible. 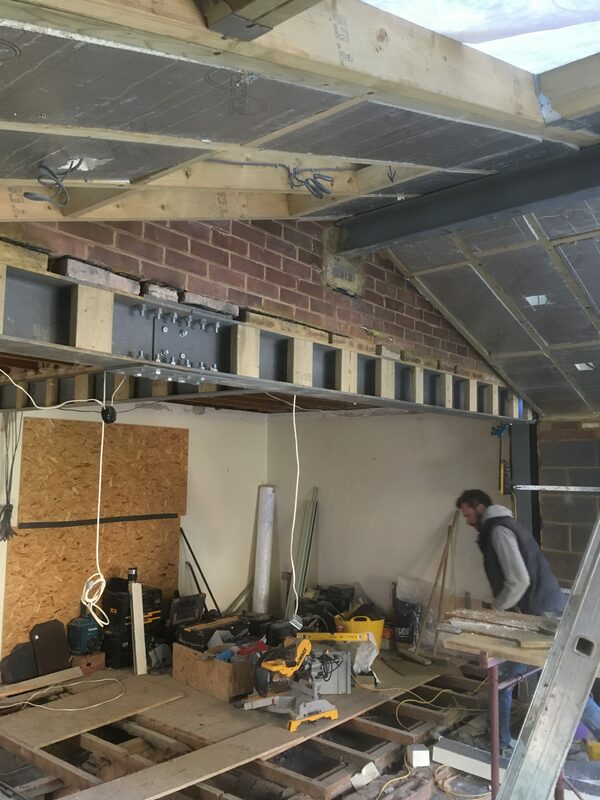 Work began onsite in Autumn of 2017 and significant earth works were required for this 4m x 6m rear extension. through some very inclement weather we managed to get them weathered in by January with the final works completing in April. 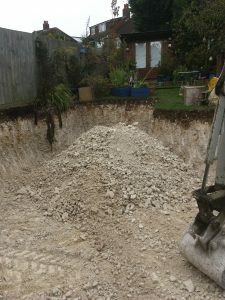 The first thing we did was demolish the existing garage so that we could move the tons of chalk from the site that was required. 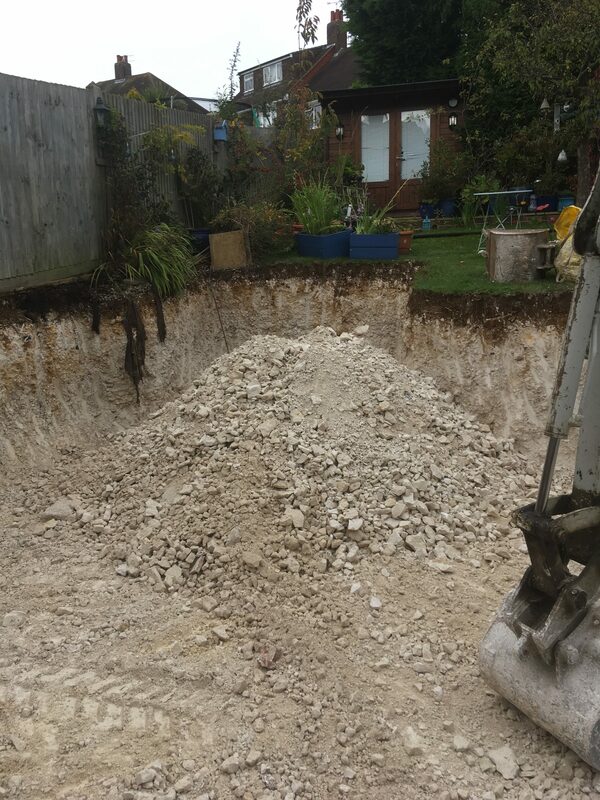 The digging out for the footing and setting out all the drainage for the landscaping was necessary early on as it would come under the new extension. The cavity wall extension was built and the rebuild of the side garage to become a utility area also undertaken with additional insulation for the future. 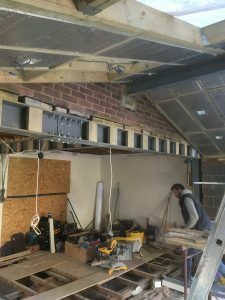 Once the roof was up and pitched we broke through to the main house and removed the supporting walls replacing them with a fairly straight forward goal post arrangements – but the steels were pretty large for such a wide opening. The preparing for the underfloor heating was next. 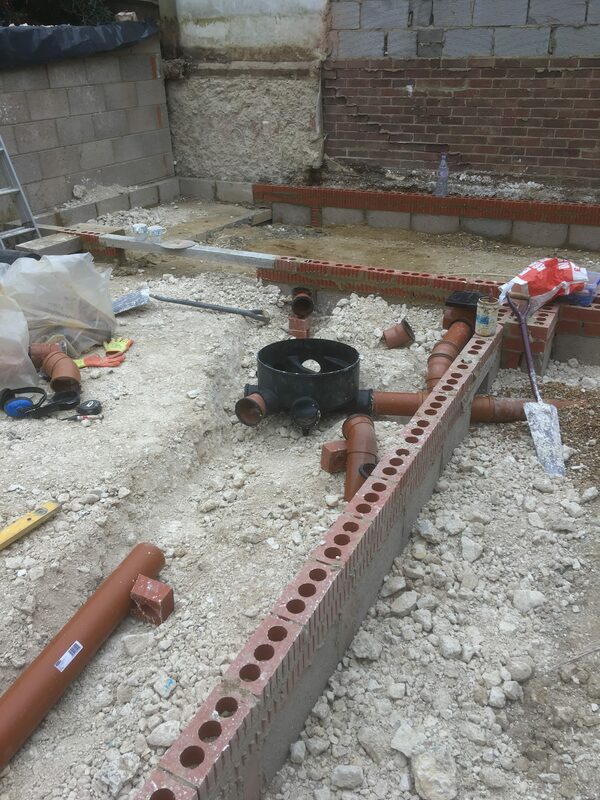 This involved a mixture of a solid screed floor with integral wet pipework and then an insulated and ventilated timber floor for the old part of the house. No easy task! A whole house heating system with weather compensated controls along with electric Velux windows to vent the space, new cavity wall insulation, high levels of insulation in the roof and high quality double glazed bi-folds and doors and windows make for a warm and toasty space.